This is the Skew Arch Bridge. The arch of the bridge was placed at an angle to accommodate an intersection of the Allegheny Portage Railroad, and the Northern Turnpike. The turnpike ran over the top of the bridge. 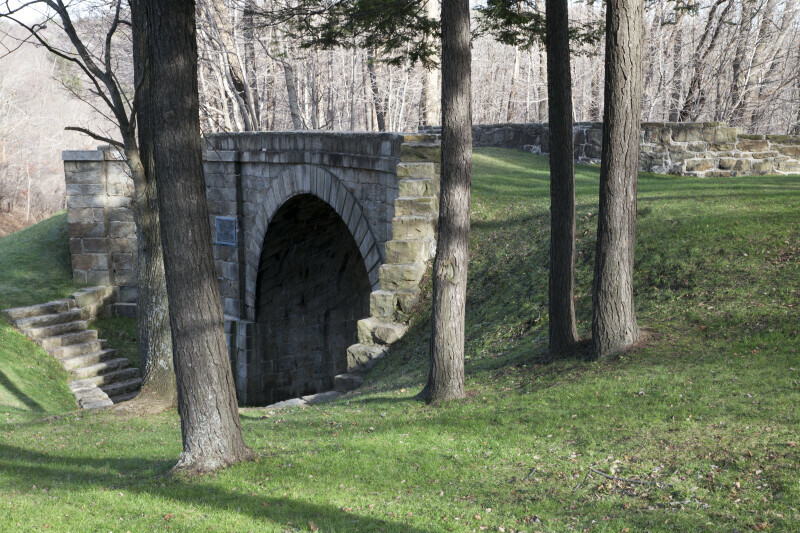 Skew Arch Bridge is listed on the National Register of Historic Places, as part of the Allegheny Portage Railroad National Historic Site.